Hello everyone, first of all I would like to thank God for this great opportunity. 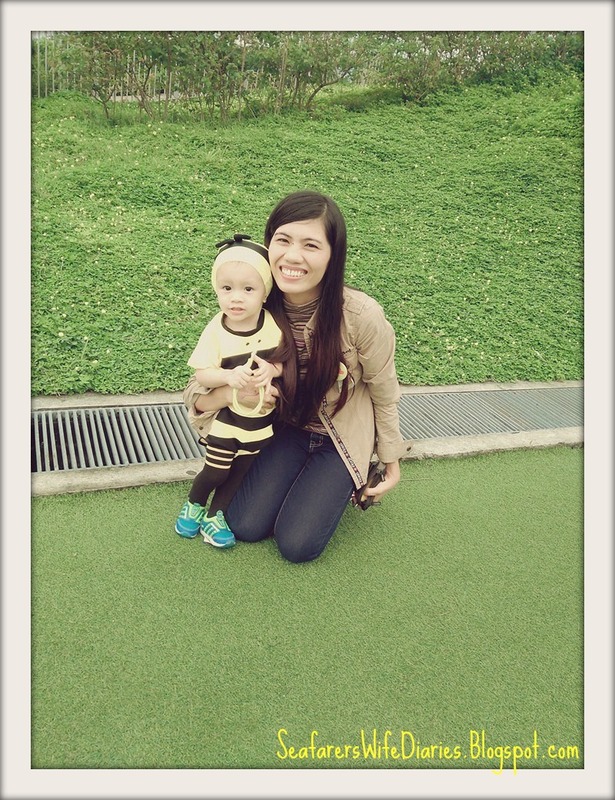 At this time, while I write this post, I still can't believe that I am now a Mommy BLOGGER, (whew!). 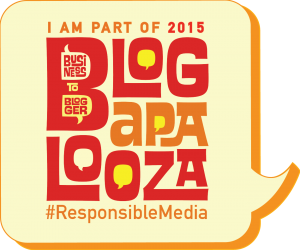 Second thank you to my friend who's always convincing and encouraging to write a blog. :) Third, thank you MBP family (Mommy Blogger Ph) for accepting my request and become a member of this great community! 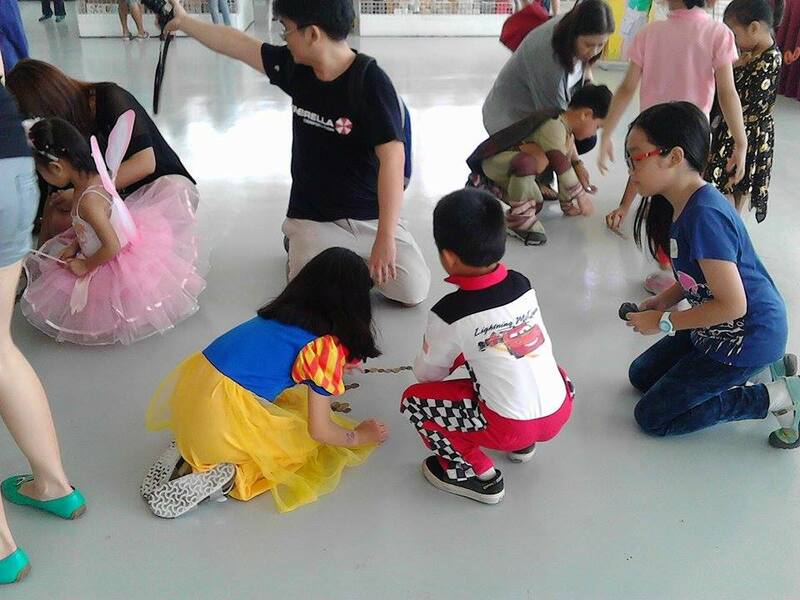 October 17, 2015 was my first MBP's event. 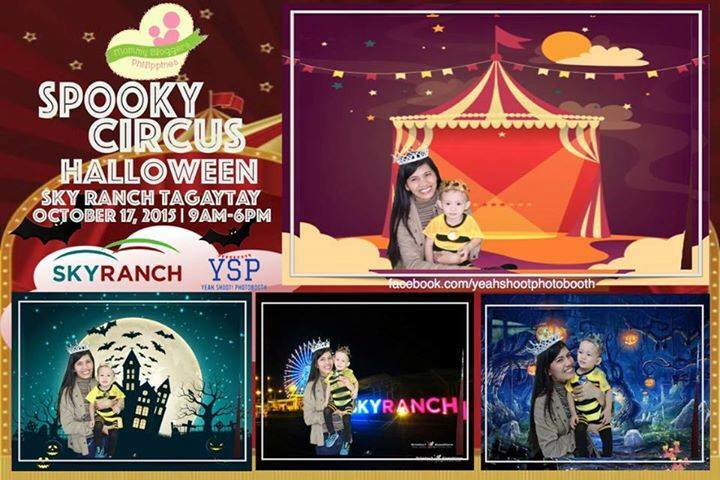 I was so excited to attend this event because this is also my ZD's first in Tagaytay. Arrival: 8:30 am. Yes, we arrived the venue that early hehe. There was no traffic and we're comfortable on our way, hassle-free and feel na feel namin ang biyahe. Because it's too early pa, most of the fast-food and resto were closed so we decided to feed our toddlers first. and we're so hungry we found a fast food for our breakfast at KFC! After our breakfast we proceed to the registration area. And here is the venue. TRICKS: The photos of this part looks not good because of the weather and the fogs. 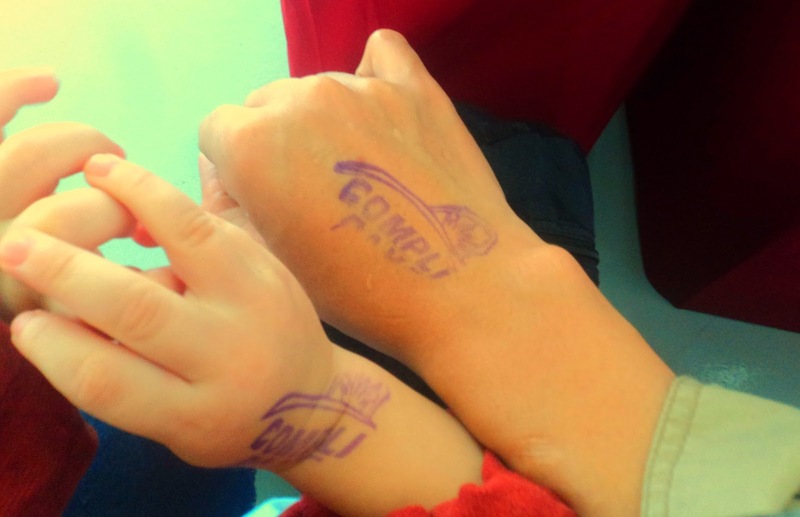 Plus, we didn't have a good camera! lol! Forgive the resolution! 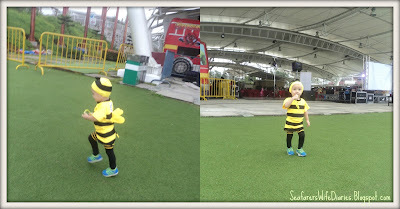 Here is my ZD, the Bee! 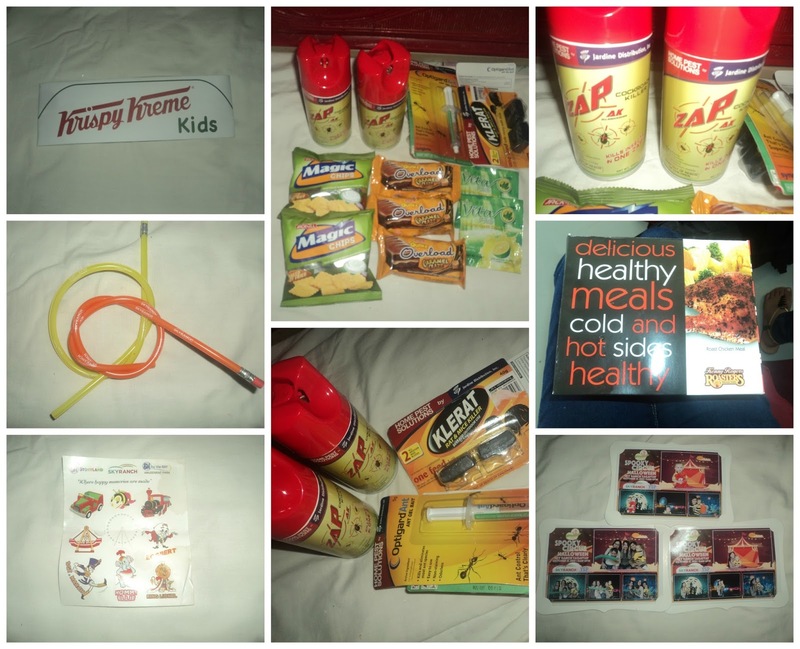 I won from the raffle prize ticket Disney On Ice show for December. Yay!! 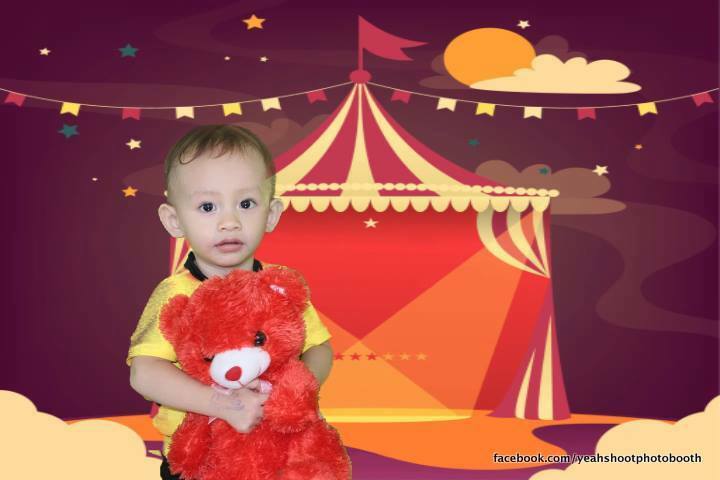 After the activity we enjoyed the unlimited photo shot by YEAH, SHOOT PhotoBooth. 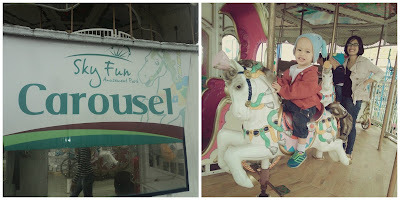 Our first stop was the Carousel, our toddlers like it, but the problem was ako yong nahilo at sumakit ang ulo. hahah! After the Carousel we decided to try the Flying Bus, and that was the biggest mistake we did on our toddlers. 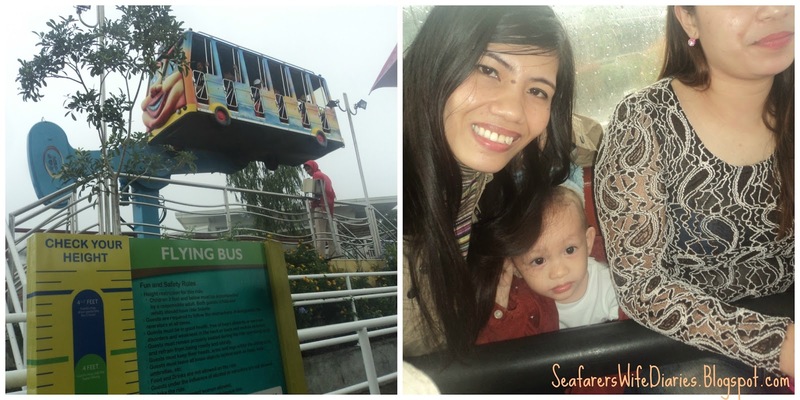 On your first glance on that flying bus, it looks so great and you can imagine yourself that it's really fun because it's just a mini-bus, and lagi naman tayong sumasakay sa bus right? Kaya ang tapang namin na sinakay ang mga anak namin. Nong naka-upo na kami excited na kami but when its started to move, OMG! takot na takot ang mga anak namin, si Nate namumula, si ZD naman namumutla. At wala na kaming magawa at hintayin ang pag stop nito. We promised to ourselves na di na talaga namin uulitin at parang pinaparusahan namin ang mga anak namin. Whew! 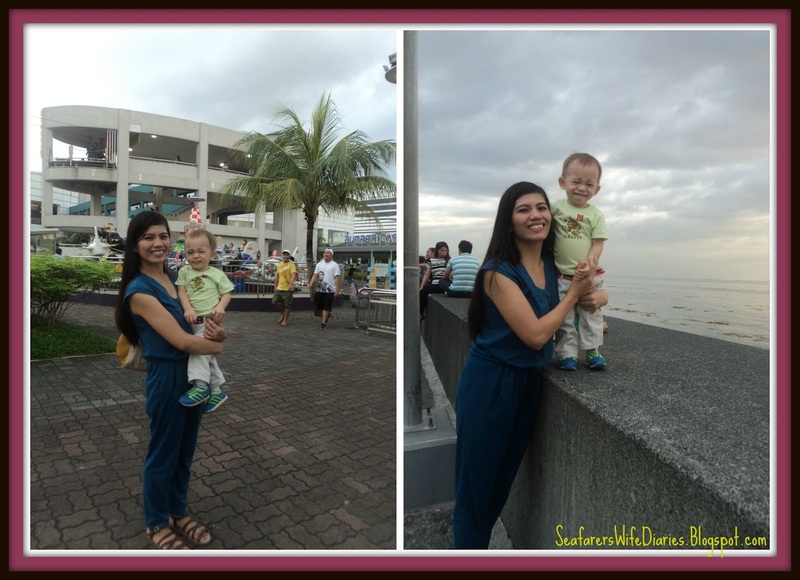 The first and last ride! Our third stop was the Sky Eye, Thank you Lord at nakapag relax din kami sa wakas! After 30mins na nakatayo at nakapila, the view was so nice its very relaxing, kung di lang siguro napuno ng fogs ang paligid that time I'm sure super ganda siguro almost 14 mins din ang ikot kaya sulit din. So tired and hungry na! What can I say about this Event? Being a first timer of this event I'm so blessed to be able to join this company, thank you so much MBP family (www.mommybloggersphilippines.com) for this great event, to all the organizers that really worked hard just to make this event successful. 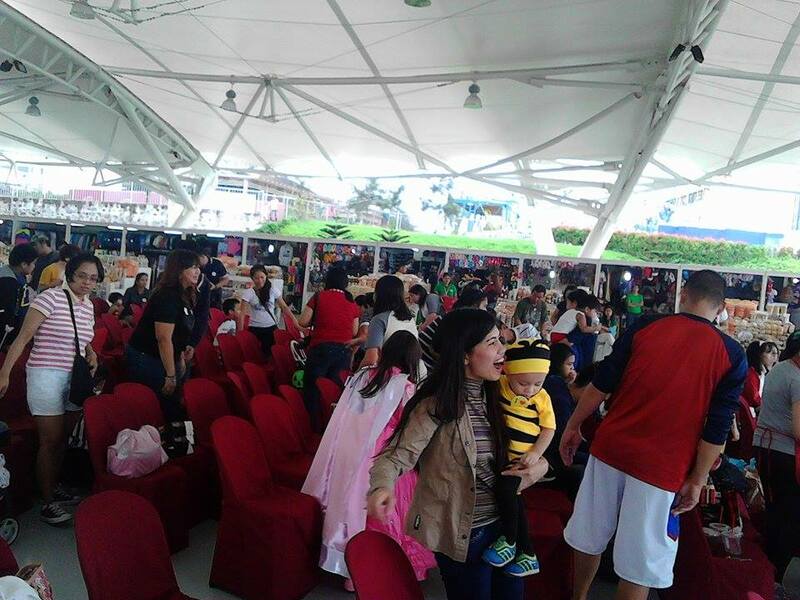 Sana next year maka attend na naman kami ulit ni ZD, thank you sa pag welcome sa amin. Subrang na enjoy namin. 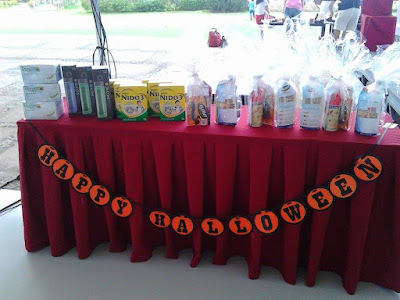 Mommy Bloggers Philippines (MBP) has a Wickedly Fun Halloween at Sky Ranch Tagaytay. 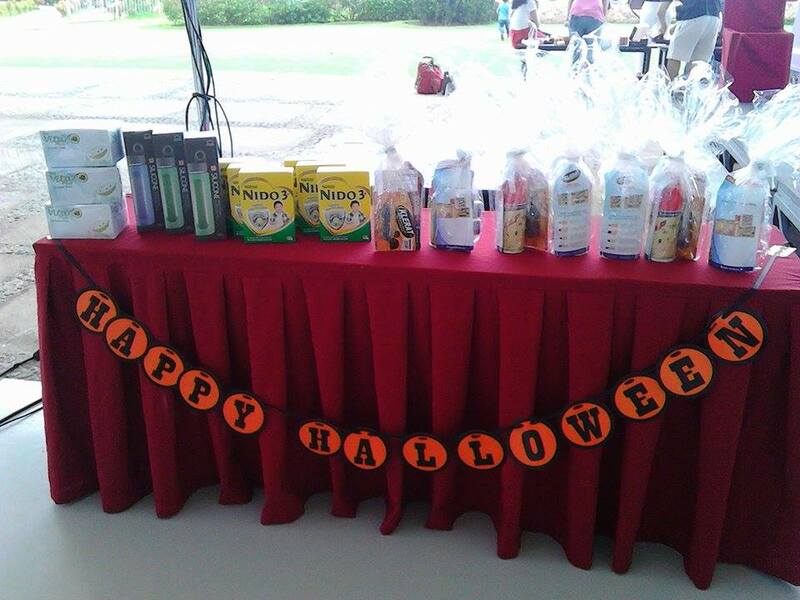 I was so excited because it was our first ever MBP event! 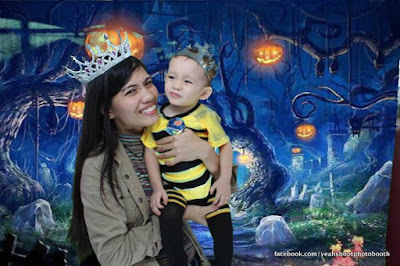 When I heard that there will be a costume contest for kids, of course I was so excited for my ZD and started thinking about my toddler's costume. 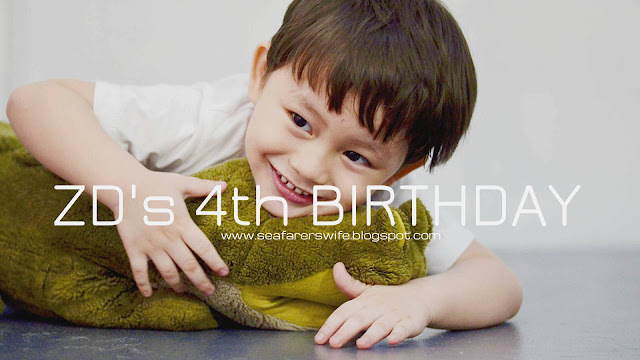 Since my ZD bear is still very young hahaha! I don't want him to wear scary costumes, you know na baka matakot lang sya hehe at di ma enjoy ang moment. 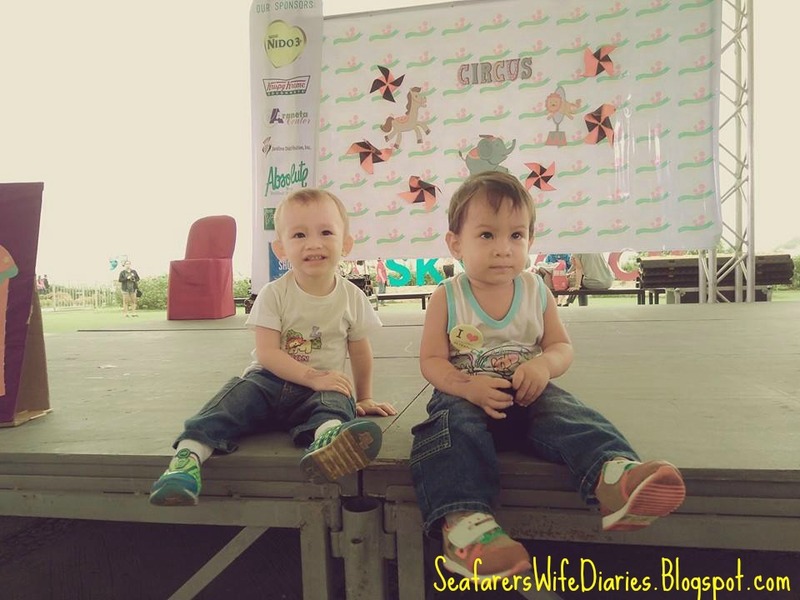 And whether manalo or matalo it's okay as long as we enjoy the event it's enough for me. 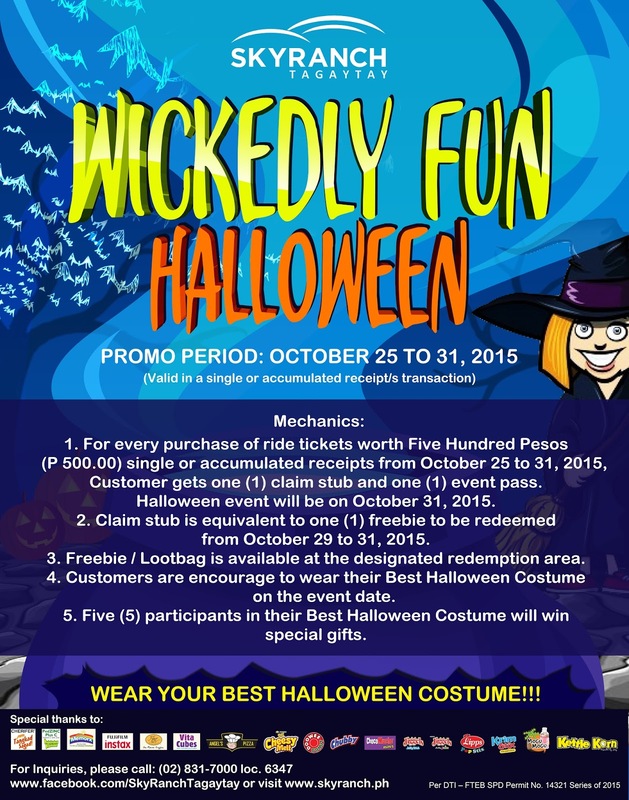 So before I went to the market I did some costume research and of course I always consider the price, kasi isang beses lang naman gamitin or yon na ang magiging costume na if ever na makaatend pa kami ulit ng tricks or treat Halloween event . Here are the following costume choices for my ZD. 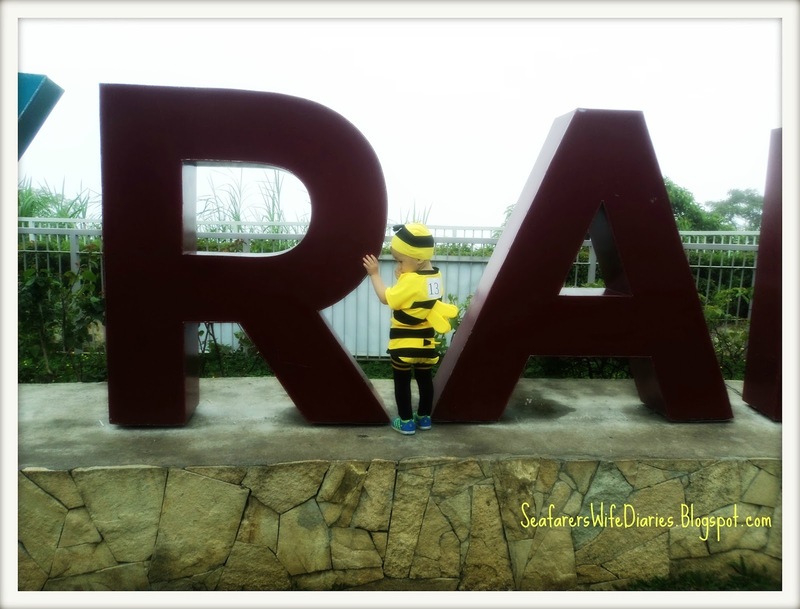 Why I Choose the BEE? The reasons why I choose the Bee costume of course kaylangan pa bang i-memorize yan? the lowest price LOL! the BEE! 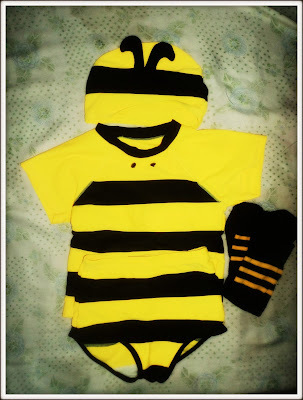 the Mickey Mouse and the Bee are same price, not bad for kuripot mommy like me, and I'm thinking that the Mickey Mouse is very commonly used so I chose the BEE instead. 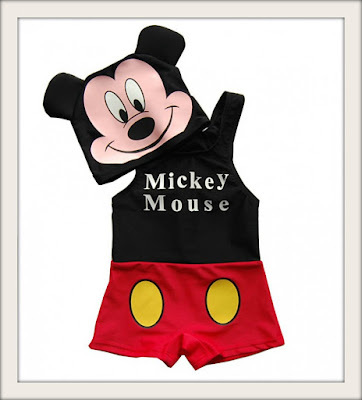 The fabric of these costume is very nice, its stretchable, the color is cool and it's a friendly costume for children. Sky Ranch Tagaytay "My little Bee"
The Halloween Pumpkin Pail in Commonwealth Market Quezon City price (Small- 30.00, Medium-45.00, Big one is only 80.00) since marunong akong tumawad they gave it to me at only 70.00. 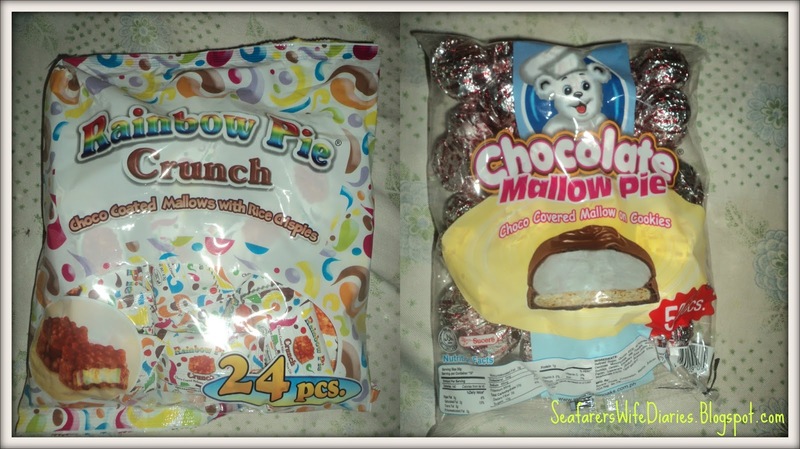 (24 pcs) in one bag,and it only 26.00. 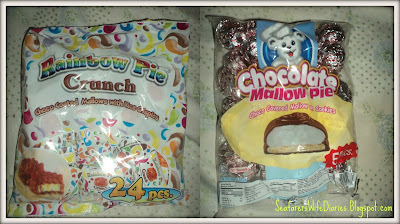 The other one is the Chocolate Mallow pie, Choco covered mallow on cookies, (50 pcs) in one bag. 36.00 only. 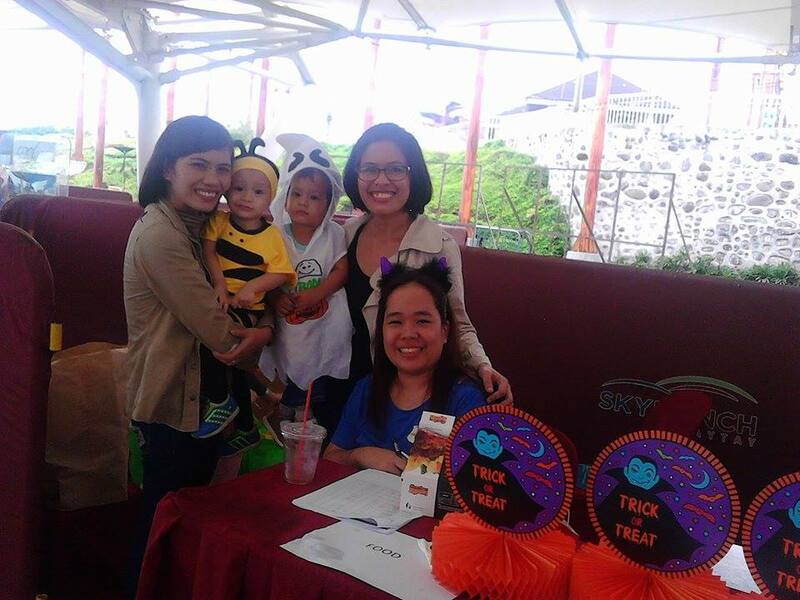 That's all for now, more MBP's Halloween Trick-or-treat experienced at Sky ranch Tagaytay on my next post. 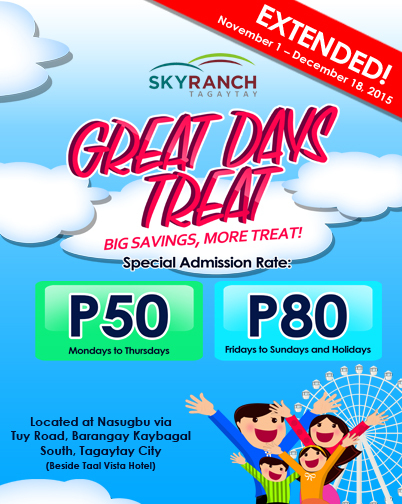 SKYRANCH Tagaytay Great Days Treat Extended! Sky Ranch Tagaytay has many rides to conquer and to make your amusement park experience all the more memorable they’re improving the park by adding more thrilling rides. Yesterday I was so very excited because it's my college classmate's daughter's first birthday. 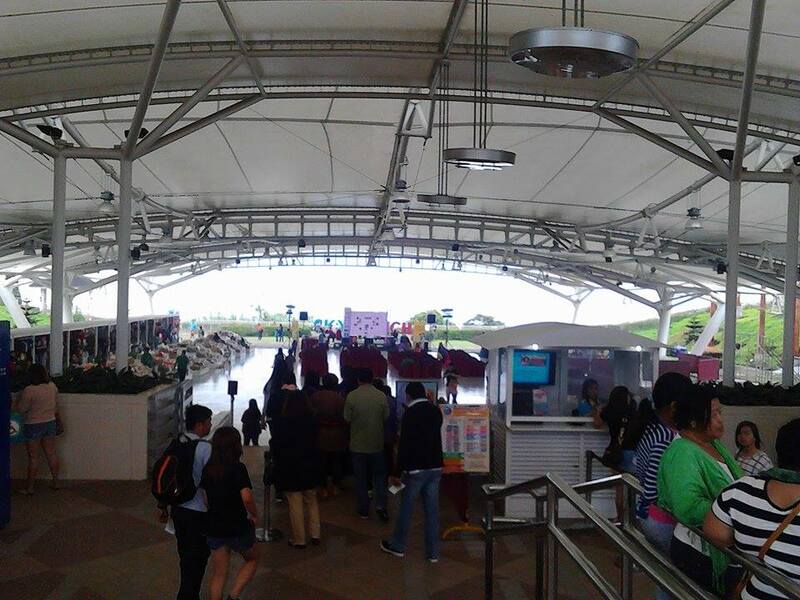 The venue was in Jolibee Phoenix near Mall of Asia (MOA) 4:00pm-6:00pm. 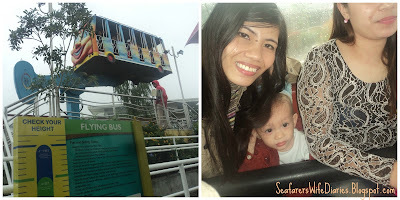 So from Quezon City we travelled to MOA. I think it's about 3 hours ride because of the traffic (traffic, of course) and we prefer to commute. 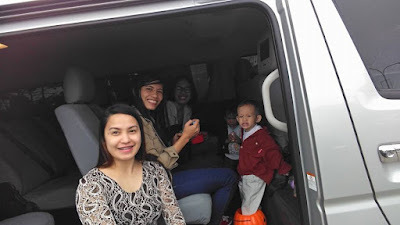 We took a bus to MOA from Q.C. Memorial Circle to Timog Edsa Highway where it took 1 hour, so I told to my friend that if until Cubao its still very traffic, we will have to take MRT nalang para makahabol pa tayo, because I was woried na baka from Cubao-Ortigas another 1 hour na naman. Good thing my toddler was sleeping. So to make this story short we took MRT from Santolan to Taft. 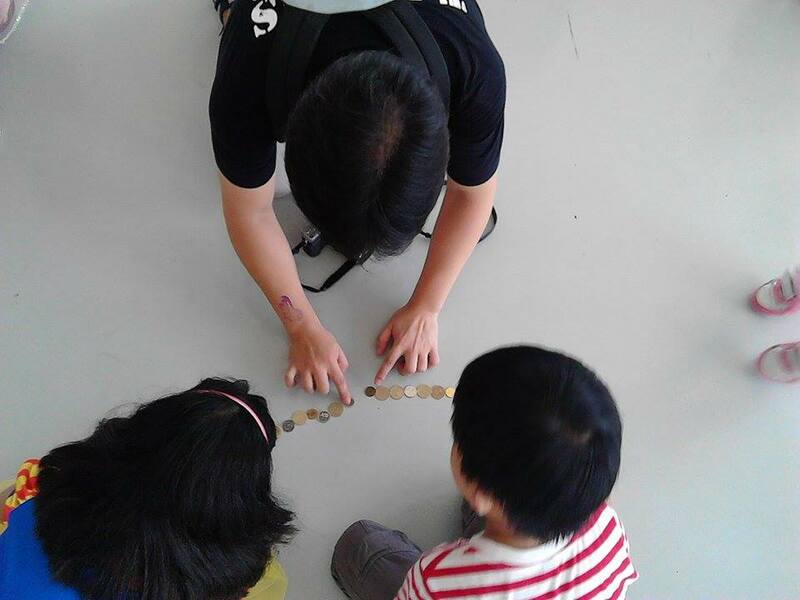 Of course what did you expect at MRT? standing position (karga-karga si zd, kasi ayaw nyang tumayo kasi natatakot sya sa maraming tao at feeling nya kinukulong sya kasi ang liit lang ng space at first time nyang sumakay sa MRT). We arrived at Jolibee Phoenix around 3:45 pm thank God we're not late. Then the Jolibee crew told me that the party was on the 2nd floor, but to my surprise,when we got there, The tarpaulin never said it's Megan's birthday! So I asked again if there is another birthday party there? Then the crew answered me and told me "no ma'am, ito lang po from 3pm to 5pm", then I asked again, "are you sure? how about 4 to 6pm?". My friend told me that the party would start at 4pm-6pm. Then they checked again but there's no other party booked. Oh no! I was thinking if the party was cancelled without informing me, then I call my classmate and she told me, "NO Mel, the birthday is on November 14, NOT October 14". Oh my... I'm like a praning that time. hahahah! I blame myself because I did not check her pm again before I left home, neither text her, because to myself, I knew that today was the party! LOL!! But anyway it's okay, I told to my friend that it's okay "kasama talaga sa paglaki to" hahahah! Diretso nalang tayo sa MOA, nagugutom ako at napagod kakain tayo then pasyal konti at uwi na din kasi baka siksikan na naman sa MRT. Because I was so hungry and tired, when I saw the Mang Inasal di na ako naghanap ng iba but on my mind I wanted Burger King, pero hahanapin pa namin kung saang sulok yan sa MOA. 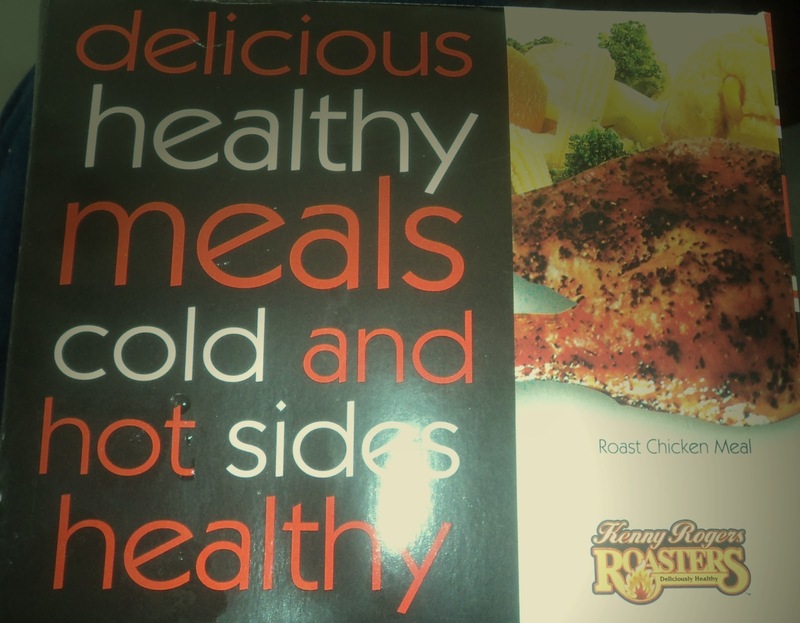 That's why we decided na Mang Inasal nalang. 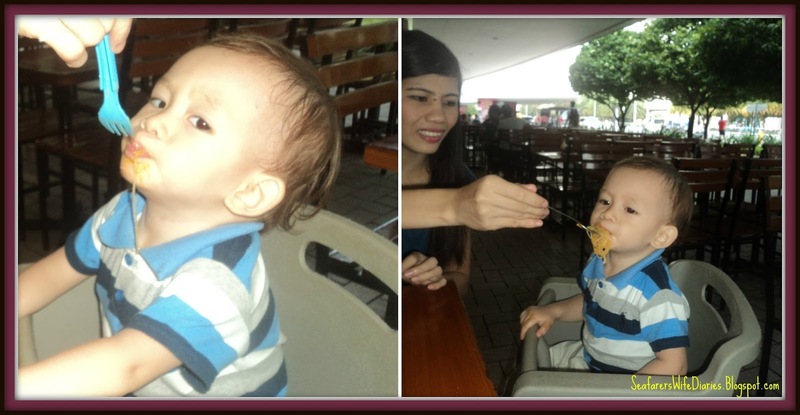 My zd boy he really loves the Mang Inasal Palabok. (I'm sorry I forgot to take a photo on Palabok with Puto). After eating we went to the Bay side. 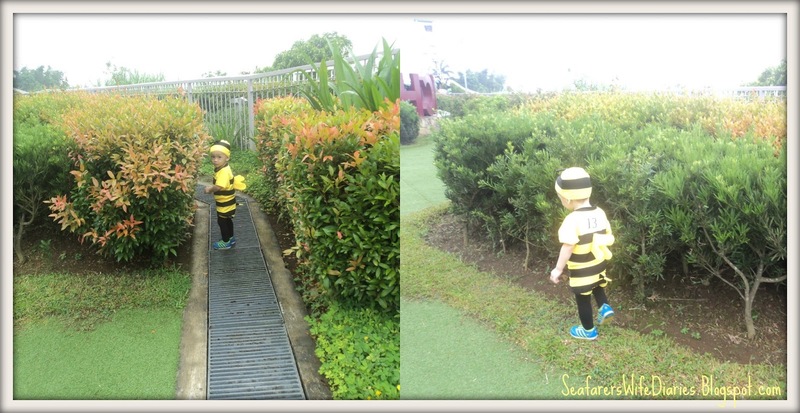 ZD boy had so much fun, he enjoyed seeing the sea and the sea birds there. 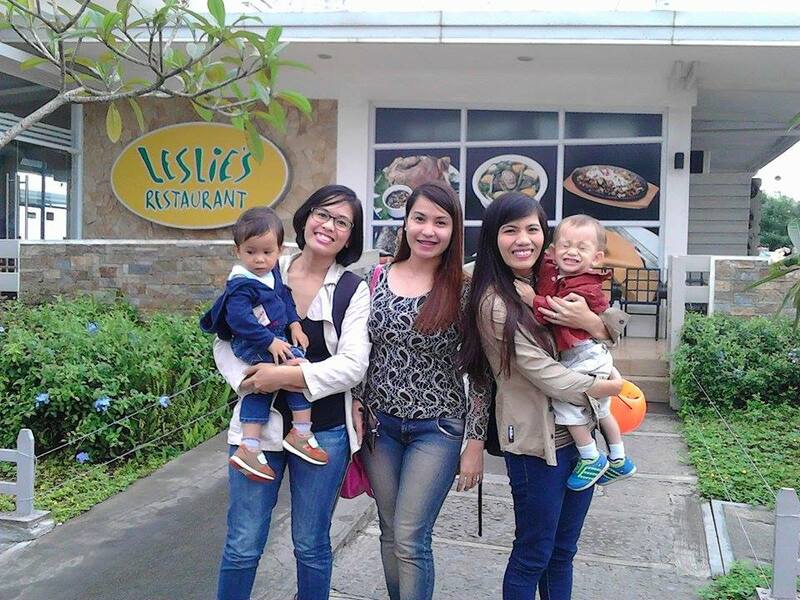 After that we go home na. I also discovered from this trip for my zd boy that I needed to expose him more on many people, specially sa bus at sa MRT feeling nya kinokulong sya, every time na may bumababa gusto nya na din bumaba, at iyak sya ng iyak. The next time we ride MRT and bus again, hopefully he will able to overcome this, so that next time it's easy for us to travel. Thank you guys for reading this kaloka experience. 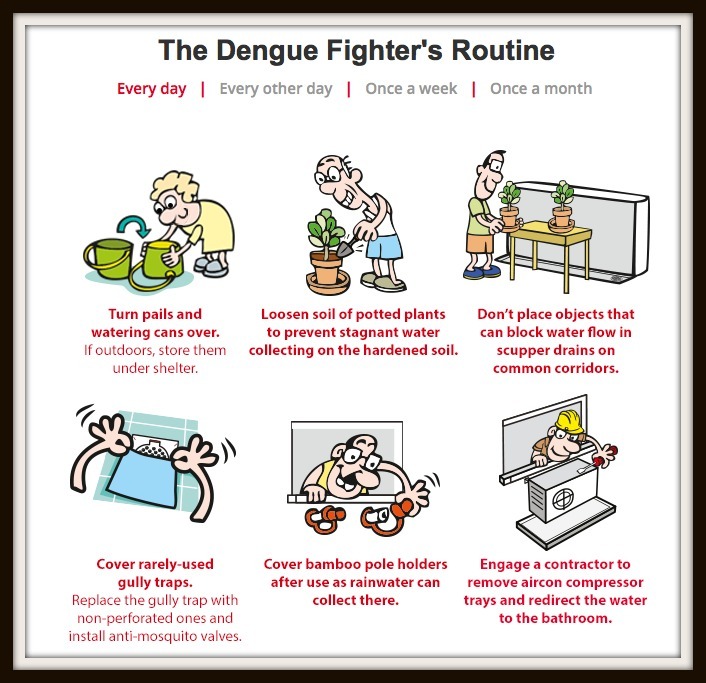 Dengue on the rise 55,000 reported cases so far in 2015,This is higher than the 50,462 recorded cases during the same period in 2014. The Department of Health (DOH) has recorded 55,079 suspected dengue cases from January 1 to August 8, 2015 according to the news last week. 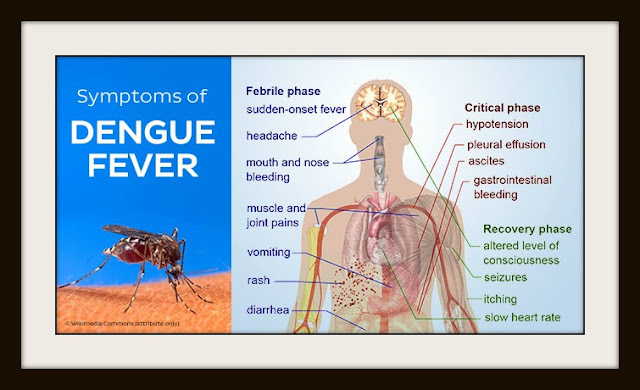 Dengue is a common viral infection spread by mosquitoes. I'm aware of this because when I heard this from the news that there's lots of patients from the area of Cavite to Bulacan are. 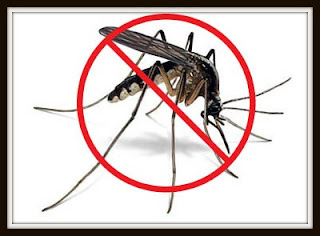 The DOH (Department of Health) said that the province of Bulacan and Cavite were placed under a state of calamity due to the rising number of dengue cases. We have a 4-yr old neighbor here who's affected by the dengue and his nose was bleeding. They rushed him to the hospital. So I am scared because if it's my neighbor, then it means near at home (of course! lol). Although I always clean our house and always spray it for mosquitoes killers, when we go outside there's a chance that my ZD will be bitten by a mosquito. Oh, just the thought of that makes me so worried. Hay nakakaloka talaga! That's why we used mosquito net at night para sure. Then everyday nag spray ako. Prevention is better than cure. 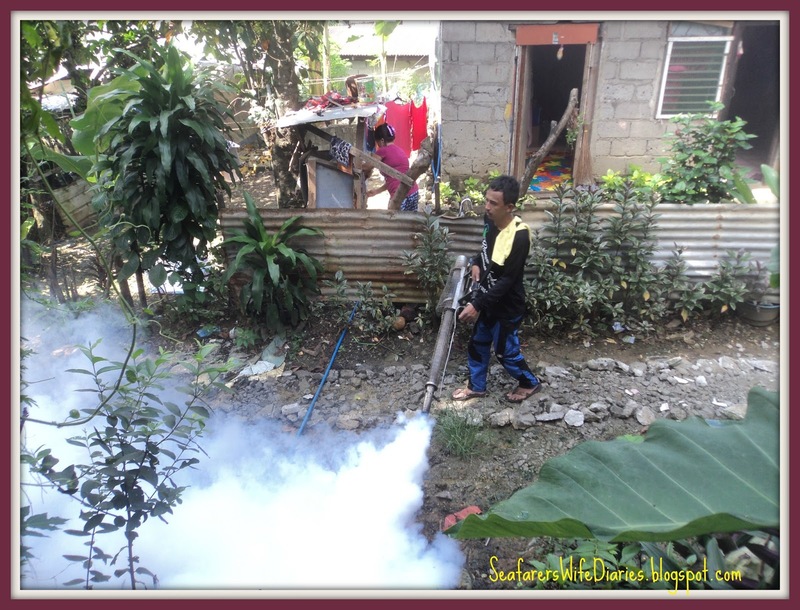 The good thing, our baranggay has new program called "ABKD" (Action Baranggay Kontra Dengue). Our kapitbahay called that as "PAUSOK PARA SA LAMOK" hahaha! 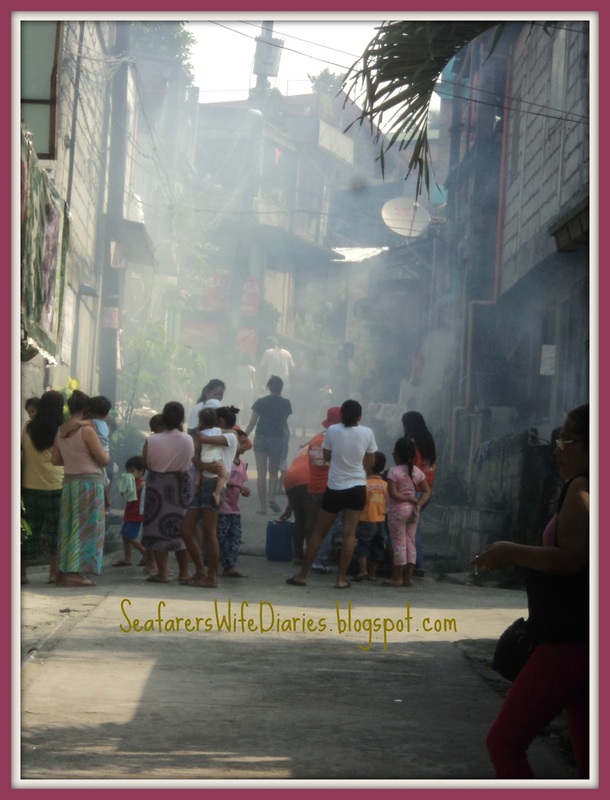 Early in the morning when I bought something our breakfast I saw these brgy. 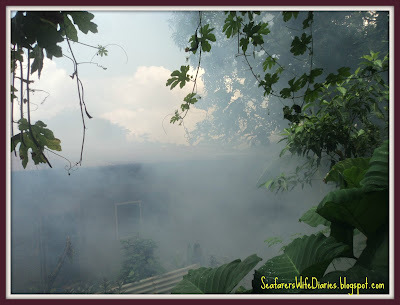 workers - nag house to house sila para pausukan ang mga bahay, I was so happy because of it kasi it's really a big help for us specially to our community to avoid dengue. Thank you to all the baranggay workers for the efforts and your service :) Mabuhay kayo!! There is no vaccine available against dengue, and there are no specific medications to treat a dengue infection. The best way to reduce mosquitoes is to eliminate the places where the mosquito lays her eggs, like artificial containers that hold water in and around the home. 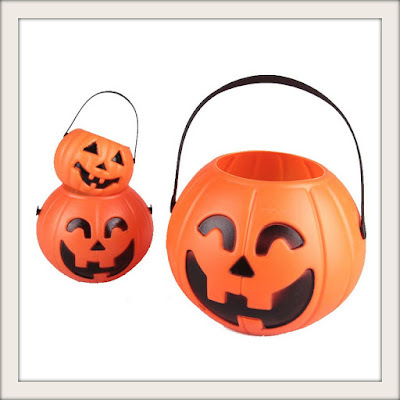 Outdoors, clean water containers like pet and animal watering containers, flower planter dishes or cover water storage barrels. 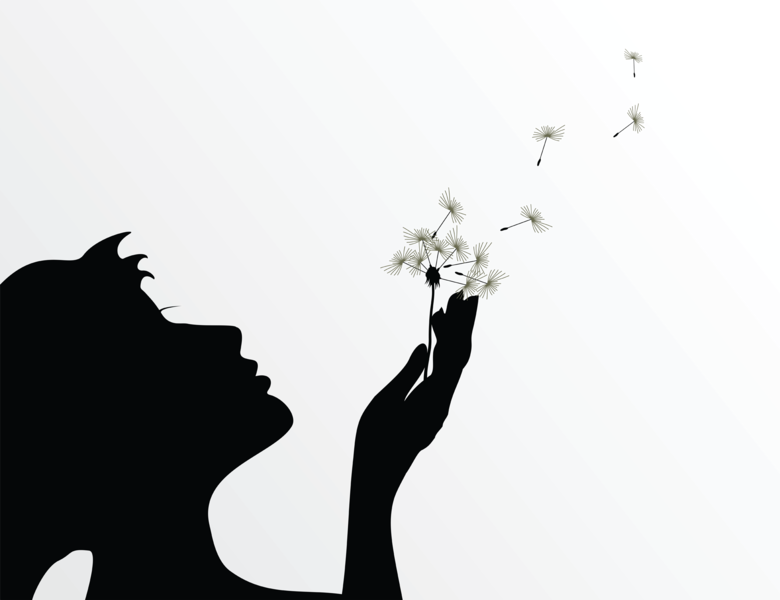 Look for standing water indoors such as in vases with fresh flowers and clean at least once a week. 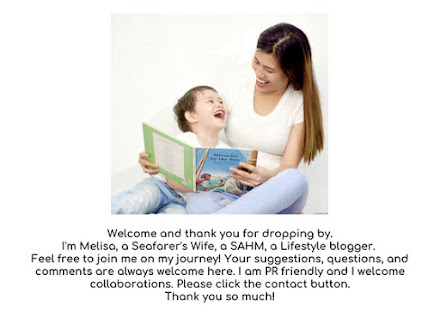 Thank you for reading, keep safe all and God bless! Looking for a good trip? How about the adventures? Cool and good environment? 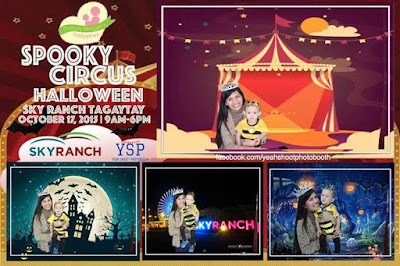 As such, Mommy Bloggers Philippines will be enjoying Halloween this year at The Venue and having a day of fun with all that Sky Ranch has to offer. With their families, mommy bloggers will experience the excitement and amusement expected from a day destination leisure park, that is Sky Ranch Tagaytay. 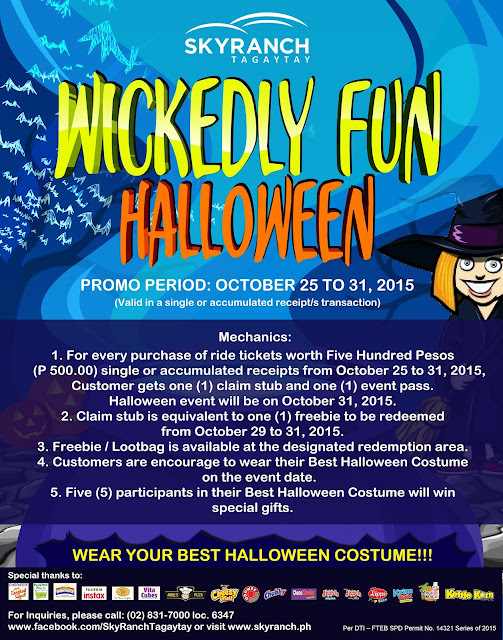 For every purchase of ride tickets worth Five Hundred Pesos (P 500.00) single or accumulated receipts from October 25 to 31, 2015, customer gets one (1) claim stub and one (1) event pass. 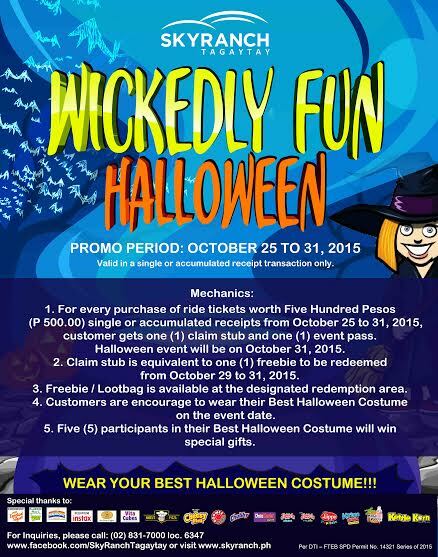 Halloween event will be on October 31, 2015. Volcano and Lake for 10 minutes. Guests Should Be: 3 ft and above. 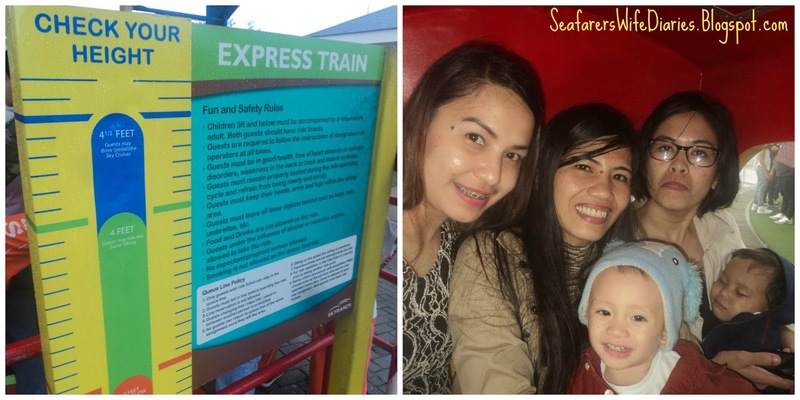 More thrilling and exciting rides and fun with your friends and love ones!!! What are your waiting for? 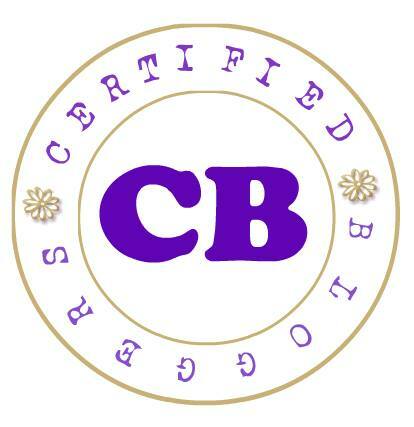 VISIT NOW!!!!! AjiPanda™: "Your Best Friend in the Kitchen"